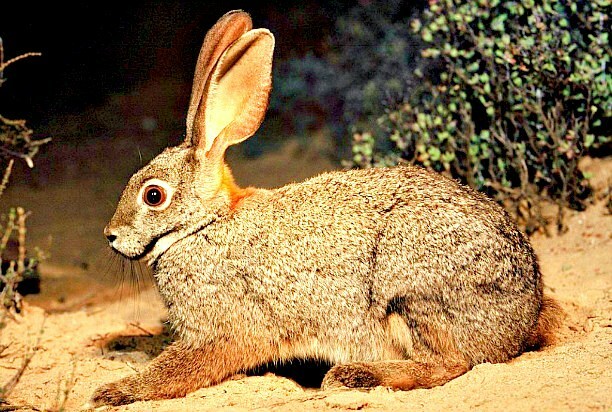 This elegant rabbit is one of the most endangered terrestrial mammals in southern Africa. It has very long ears, a soft and silky coat and a uniformly brown, woolly tail. A distinctive black stripe runs from the corner of the mouth over the cheeks, and it has white rings around the eyes. The belly and throat are cream in colour and the short limbs have particularly thick fur.